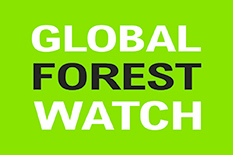 Today the University of Maryland, the World Resources Institute (WRI), Google, and a group of more than 40 partners launched Global Forest Watch (GFW), a dynamic online forest monitoring and alert system that empowers people everywhere to better manage forests. For the first time, Global Forest Watch unites the latest satellite technology, open data, and crowdsourcing to guarantee access to timely and reliable information about forests. According to data from the University of Maryland and Google, the world lost 2.3 million square kilometers (230 million hectares) of tree cover from 2000 to 2012—equivalent to 50 soccer fields of forest lost every minute of every day for 12 years. The countries with the highest tree cover loss are: Russia, Brazil, Canada, United States, and Indonesia. “We expect GFW to be a powerful link between the facts on changing forest resources—made possible with satellite data—and improved forest governance. Hopefully a sustainable use of this critically important global resource will be enabled,” said Professor of Geographical Sciences Matthew Hansen. Hansen was the team leader of a recent multiorganizational effort that led to the creation of innovative environmental sciences technology, the world’s first local-to-global forest mapping tool. This tool made possible the recent eye-opening findings on forest loss that make efforts like Global Forest Watch so critical. •High-resolution: Annual tree cover loss and gain data for the entire globe at a resolution of 30 meters, available for analysis and download. •Near-real time: Monthly tree cover loss data for the humid tropics at a resolution of 500 meters. •Speed: Cloud computing, provided by Google, multiplying the speed at which data can be analyzed. •The crowd: GFW unites high resolution information from satellites with the power of crowdsourcing. •Free and easy to use: GFW is free to all and no technical expertise is needed. •Alerts: When forest loss alerts are detected, a network of partners and citizens around the world can mobilize to take action. •Analytical Tools: Layers showing boundaries of protected areas worldwide; logging, mining, palm oil and other concessions; daily forest fire alerts from NASA; agricultural commodities; and intact forest landscapes and biodiversity hotspots. Today, a group of leaders in government, business, and civil society launched Global Forest Watch at the Newseum in Washington, D.C.
“Partnerships like Global Forest Watch that bring together governments, businesses and civil society and technological innovation are the kinds of solutions we need to reduce forest loss, alleviate poverty and promote sustainable economic growth,” said Administrator Rajiv Shah, U.S. Agency for International Development. Global Forest Watch will have far-reaching implications across industries. Financial institutions can better evaluate if the companies they invest in adequately assess forest-related risks. Buyers of major commodities such as palm oil, soy, timber, and beef can better monitor compliance with laws, sustainability commitments, and standards. And suppliers can credibly demonstrate that their products are “deforestation free” and legally produced. Global Forest Watch can support other users like indigenous communities, who can upload alerts and photos when encroachment occurs on their lands; and NGOs that can identify deforestation hotspots, mobilize action, and collect evidence to hold governments and companies accountable. At the same time, many governments like Indonesia and the Democratic Republic of Congo, say they welcome Global Forest Watch because it can help them design smarter policies, enforce forest laws, detect illegal forest clearing, manage forests more sustainably, and achieve conservation and climate goals. Global Forest Watch was created by the World Resources Institute with over 40 partners, including Google, Esri, University of Maryland, United Nations Environment Programme (UNEP), Imazon, Center for Global Development, Observatoire Satellital des Forêts d'Afrique Centrale (OSFAC), Global Forest Watch Canada, ScanEx, Transparent World, the Jane Goodall Institute, and Vizzuality. Major companies have also provided early input, including Unilever and Nestle, and the wider Tropical Forest Alliance 2020 Partnership. Core funders include the Norwegian Climate and Forests Initiative, U.S. Agency for International Development (USAID), Global Environment Facility (GEF), U.K. Department for International Development (DFID), and the Tilia Fund. For more information visit: www.globalforestwatch.org.